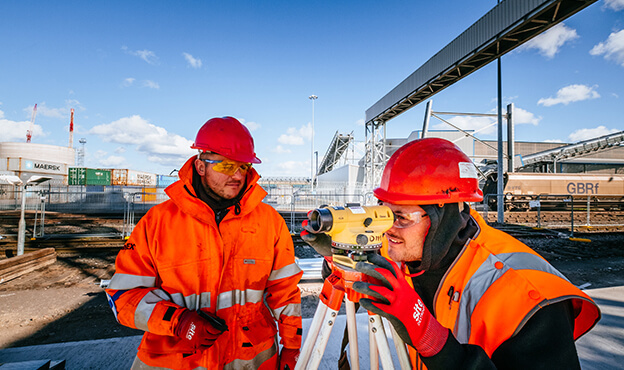 The Lynemouth Power Station Biomass Conversion Project consisted of the design and construction of a facility for the handling, storage and rail-loading of wood pellets at the Port of Tyne, Newcastle. The new facility will import 1.8million tonnes of wood pellets per year. The facility designed and constructed by Spencer Group will see 58,000 tonnes of bulk cargo imported to the port in vessels at any one time. Spencer Group’s automated system is capable of unloading the biomass at a rate of up to 850 tonnes per hour, to then be conveyed mechanically to one of three huge, newly-built concrete slip-formed silos. 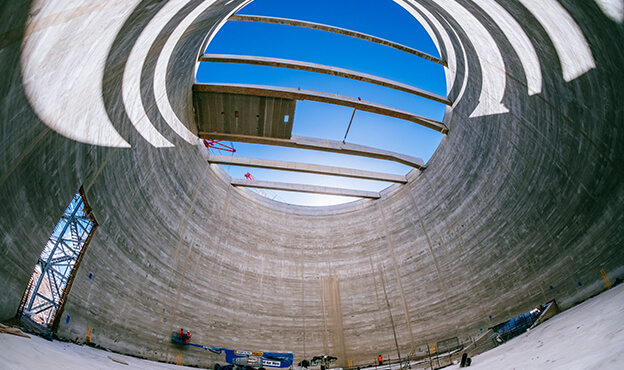 Each of the silos measure 45m in diameter and can store 25,000 tonnes of material. The pellets can be discharged from the silos at a rate of up to 1,700 tonnes per hour, via two conveying streams to a rail-loading facility also built by Spencer Group. Six trains hauling up to 25 wagons each will be loaded daily, in a 365 days-per-year operation, to distribute the biomass to Lynemouth Power Station. The requirement of this biomass handling facility for Lynemouth Power was greatened following the termination of coal-fired operations at the power station in December 2015. This new plant will greatly reduce the NOx, SO2 and CO2 emissions produced compared to the original coal fired operations, thus remaining in line with the UK Government’s climate change targets. Once fully operational, the biomass conversion project will produce 2.3TWh of low carbon electricity to power 700,000 households.